2018 Review of Abila MIP Advance Fund Accounting: MIP Advance from Abila is cloud-based fund accounting software that is a good fit for small to mid-sized nonprofit organizations and government entities. Users can also download the mobile app for mobile system access. The 2018 of MIP Advance offers a variety of dashboard enhancements as well as the launch of the brand MIP Idea Portal which allows current users to submit ideas and suggestions on how to improve the product. Abila offers a flexible, table driven chart of accounts structure, with users able to configure an unlimited number of segments in varying lengths to better track organizational data. 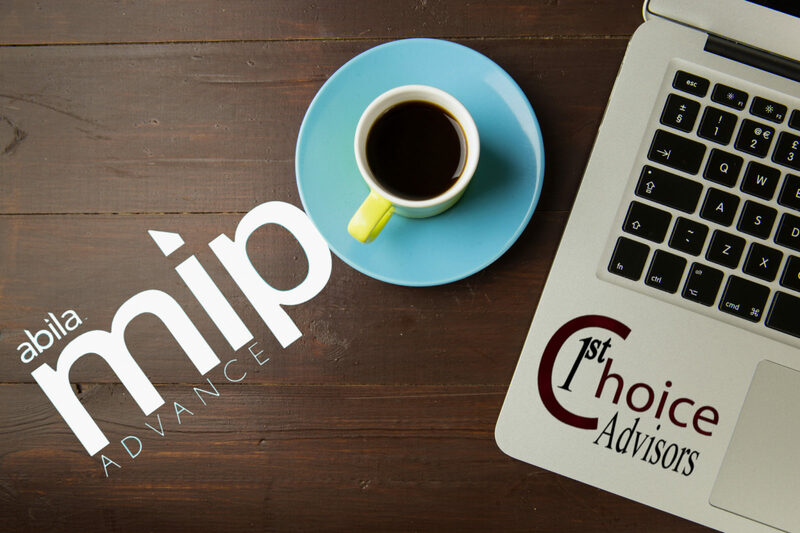 Support personnel work with all new MIP Advance users to configure the chart of accounts structure properly during the setup process. The product easily handles all types of transactions including standard accounting transactions such as AP, AR, and GL entries, as well as bank reconciliations, cash receipts, cash disbursements, allocations, encumbrances, purchase orders, and order entry options, as well as extensive budget transactions. Users can create an unlimited number of fully customized budgets in MIP Advance, with the budgets reflecting any time frame desired, including across fiscal years. A robust forecasting feature allows users to easily forecast future expenditures, and users can also create a variety of ‘what-if’ scenarios to determine the best option for the organization. Warnings can be implemented if users are close to going over-budget, and the budget view allows users to see the status of any budget during the transaction entry process. Abila offers a variety of optional fundraising modules including Fundraising 50 and Fundraising Online. Fundraising 50 is designed to manage donor cultivation and retention, while Fundraising Online is a good option for organizations that wish to implement online giving platforms, manage events and create peer-to-peer fundraising opportunities. Users can track individual grants using the flexible account structure, and the product includes fund-balancing capability, to ensure that all funds are in balance at all times. The optional Allocations Management module allows users to record both direct and indirect allocations by percentage or transaction. MIP Advance Fund offers solid system security and the Advanced Security option offers database encryption and the ability to limit access to sensitive data such as employee salaries or budgets. MIP Advance includes a good selection of preset reports that can customized to suit the needs of the user. A series of built-in reporting tools assist new users in creating new reports as well. Reports can be created across fiscal year, and the product easily produces nonprofit specific reports such as Statement of Revenues and Expenditures, and Statement of Cash Flows. Add-on reporting modules such as Accounts Receivable Reporting allows users to easily create customer invoices and statements, and Drillpoint allows easy customization of financial statements, including the ability to add graphs and formulas. All MIP Advance reports can be displayed on screen, emailed to recipients, exported to Microsoft Excel or Word, or saved as an HTML file or PDF. As a modular system, all MIP Advance Fund modules work together seamlessly. MIP Advance core modules include GL, AP, AR Reporting, Bank Reconciliation, Budget, Data Import/Export, and Forms Designer. There are also a variety of payroll and employee management modules, Electronic Requisitions, Encumbrances, Fixed Assets, Purchase Order, Advanced Security, Allocations Management, and various reporting modules including Drillpoint, GASB Reporting, and a Data Consolidation module. Optional fundraising and donor management modules are available as well and the Abila Marketplace offers users easy access to Abila business partners, implementation partners, and product partners. The Abila Support Center offers access to a variety of user tools and resources including access to the Abila Knowledgebase, Community, and Subscription Center. Users can access product support via email or chat and toll-free telephone support is available during regular business hours. There are also a variety of training options available, including a variety of whitepapers and access to Abila product training options which include online, classroom, and instructor-led training options. Just added is the Abila Resource Library, which provides access to a variety of informational webinars and documents, with users able to search for content by Topics, Types, and Products. MIP Advance Accounting from Abila is an excellent solution for small to mid-sized nonprofit organizations that would like to have a strong core system, as well as an opportunity to add additional product functionality when necessary. Pricing for MIP Advance varies, depending on the number of system users and the modules licensed. A monthly subscription that includes the core modules is $200.00 for a single user and includes hosting fees. Implementation is typically completed by Abila or authorized partners and is extra, with pricing dependent on the cost of the software. Thanks for reading the 2018 Review of Abila MIP Advance Fund Accounting! Why use a Business Partner on MIP Advance?